Explanation: It looked like a ring on the sky. Hundreds of years ago astronomers noticed a nebula with a most unusual shape. 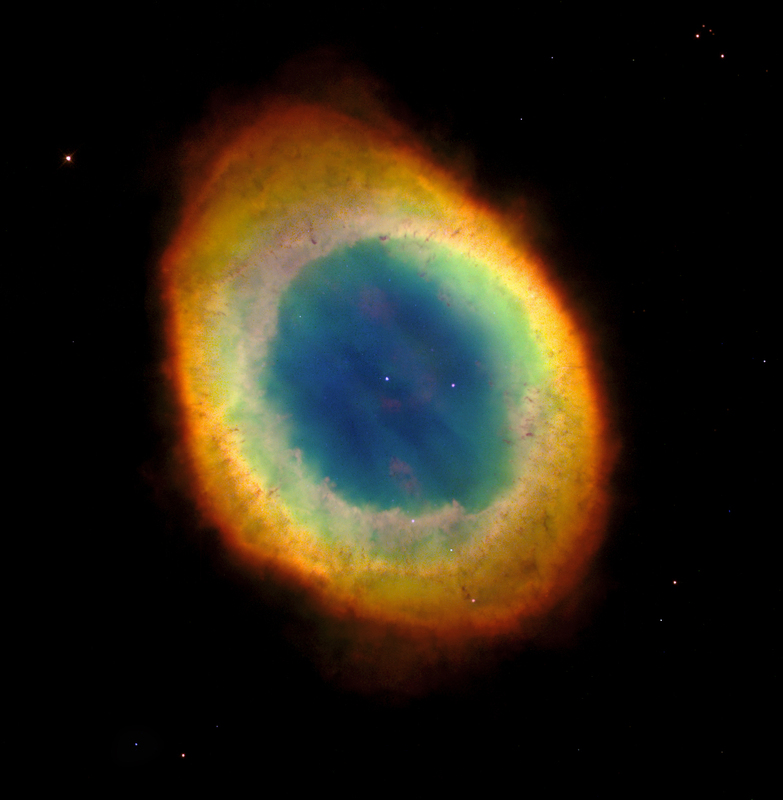 Now known as M57 or NGC 6720, the gas cloud became popularly known as the Ring Nebula. It is now known to be a planetary nebula, a gas cloud emitted at the end of a Sun-like star's existence. As one of the brightest planetary nebula on the sky, the Ring Nebula can be seen with a small telescope in the constellation of Lyra. The Ring Nebula lies about 4,000 light years away, and is roughly 500 times the diameter of our Solar System. In this recent picture by the Hubble Space Telescope, dust filaments and globules are visible far from the central star. 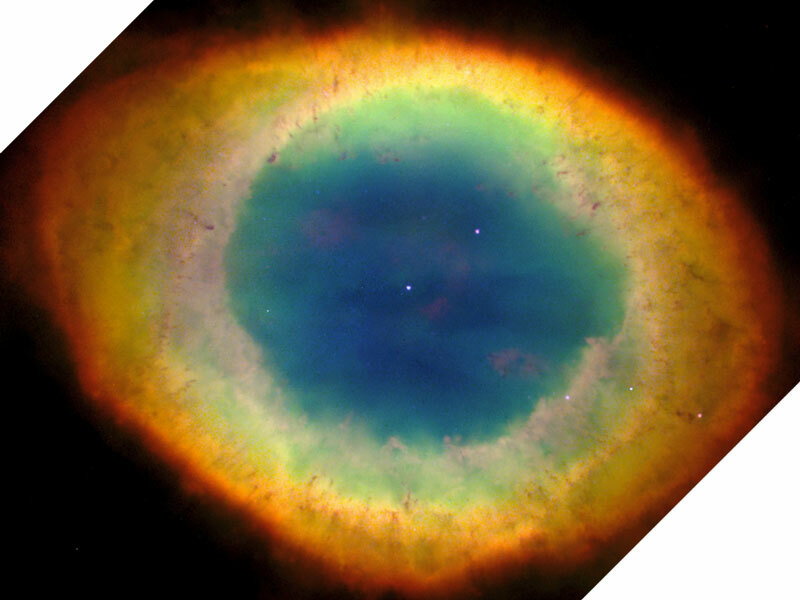 This helps indicate that the Ring Nebula is not spherical, but cylindrical.